Poulin, who scored the game-winning goal in both the gold medal finals at the 2010 and 2014 Olympics, has captained the national team since the 2015 IIHF Women’s World Championship. Also chosen for the leadership group as Canada tries to capture their fifth-straight gold medal at the Olympics is three-time Olympic gold-medallist Meghan Agosta (Ruthven, Ont.) and 2014 gold medallists Brianne Jenner (Oakville, Ont./Calgary, CWHL) and Jocelyne Larocque (Ste. Anne, Man./Markham, CWHL). Poulin is the fifth player chosen to lead Canada’s national women’s team at the Games. 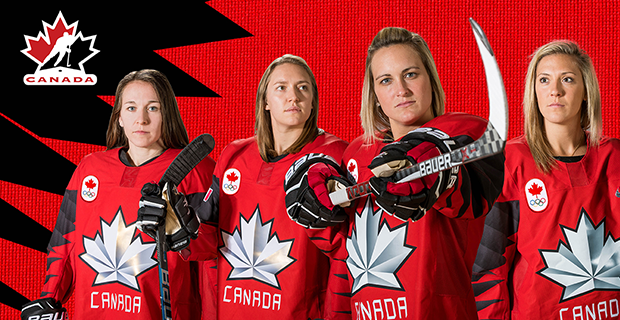 Caroline Ouellette (2014), Hayley Wickenheiser (2010), Cassie Campbell (2006, 2002) and Stacey Wilson (1998) also captained Canada. The women’s hockey tournament opens on Feb. 10. The gold medal game will be played on Feb. 22.